Welcome to my publishing catalogue. I have self published over 18 books, plus been commissioned as a book developer for many more titles. 'Robbie - the Robinson helicopter experience' by Jon Davison. Jon interviewed and photographed 15 operators worldwide who operate the R22 and R44 family of helicopters. Their illuminating words reveal just how much these amazing helicopters have changed the cattle musting, tourism and flight training industries worldwide. Stories included; HeliReef Helicopters (Airlee beach, Australia) - Ayers Rock Helicopters (Ayers Rock, Australia) - Bassair (Pretoria, South Africa) - NorCopter (Stavanger, NorwayRussell Harrison Plc (Oxford, UK) - East Coast Aero Club (Boston, USA) Flying M Air/Maria Langer (Arizona, USA) - Robinson Factory (Torrance, USA) Alpine Air Alaska (Alaska, USA) - Mauna Loa Helicopters (Hawaii, USA) - Wanaka Helicopters (Wanaka, New Zealand) - Windhawk Helicopters, (Marlborough, New Zealand) - HeliStar Helicopters (Taupo, New Zealand) - Ardmore Helicopters (Auckland, New Zealand) - Rotorvation Helicopter Services (Perth, Australia). Published 2018. 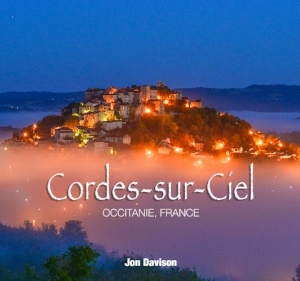 A 96 page, soft cover souvenir book of the medieval hill top village of Cordes. Produced in English and French. Photographed and written by Jon Davison, edited by Jude Brazendale, translation by David Cassard. Part of a series to include; Albi, The Tarn, Pyrenees Orientales, Pigeonniers, Cathar Country. 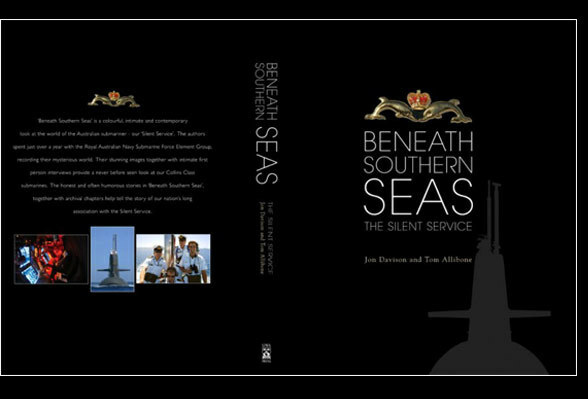 'Beneath Southern Seas - celebrating the Australian submariner', a 272 page hard back coffee table book, released in 2005. We spent 18 months with the Submarine Force Element Group documenting the world of our submarines. All chapters were interview based including; The Captain, The XO, Navigator, Warfare Officer, The COB, ASC, Thales, Commodore, Design & Construction etc. Archival pages covered our heritage as one of the world's oldest submarine services. Photographed by Jon and authored by Jon Davison in collaboration with Tom Allibone. 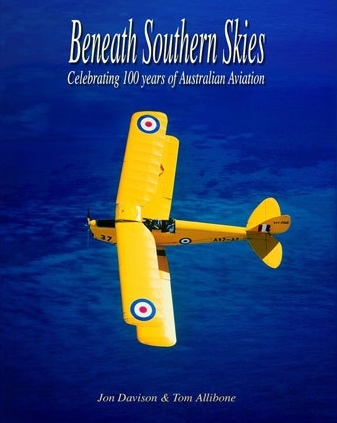 'Beneath Southern Skies - celebrating 100 years of Australian Aviation', a 272 page hard back coffee table book, released in 2003. This involved spending 18 months with 30 people involved in aviation throughout Australia, documenting their activities. All chapters were interview based and covered; Qantas, Virgin Blue, Navy, Army, Air Force, Restoration, Rescue, Training, Museums etc. Jon photographed and published 'Oxford Images & Recollections' for Blackwells Publishers in 1997. The book is a series of interviews with 25 people who have been influenced by this famous University city. They included; Desmond Morris, Colin Dexter, Bill Clinton, Brain Adliss and many more. Eye in the Sky Magazine. 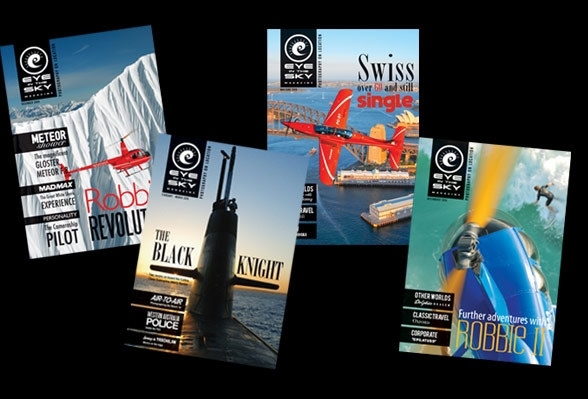 This was a series of quarterly magazines that gave a behind the scenes look into the many exciting commissions that we undertook whilst we were based at ESP Fremantle in Western Australia. Eye in the Sky produced Boat People for author Carina Hoang in 2011, and covered 40 interviews with survivors of the 1975 - 1996 exodus from Vietnam. This was a very rewarding project, that incuded us designing the book, producing it, as well as writing the intro chapter and one of the stories. The book is available through Carina's website. The Nikon Guide to Travel Photography was a joint publication between Jon, Nikon UK and Berlitz Travel Publishing. It was designed to fit into the existing Berlitz Pocket Guide series. Chapters covered Composition, Colour, Lighting, and many more. The title was recovered and issued for the US market as well.